Do the cleaning every day but the house still isn't clean enough? 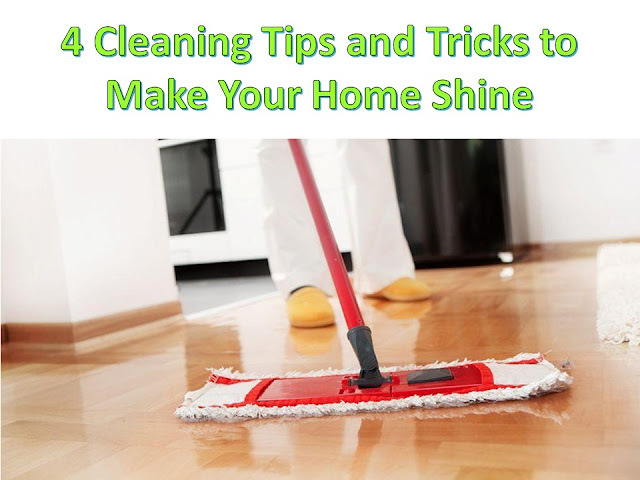 It is a common fact that regular cleaning doesn’t bring the extra shine instead it makes the house presentable. Sometimes working hard is not enough but working smart is the requirement. Everything needs to be cleaned in a specific way, in order to retain its shine. Here are some cleaning hacks for you to make your home shine like anything. Sure, rugs give some royal look to your home, but do you know that they are prone to absorbing dust particles and if they are not cleaned regularly, they can cause breathing problems. As rugs are knitted and have extremely small spaces in between them, it's harder to keep them clean on daily biases. A cordless vacuum cleaner works best for this purpose. If you do not do vacuuming every day, then clean it through beating and shaking method. Find an open place like garage, terries or garden and hold it from one end and give the rug some massive jerks. The dust particles will be immediately removed. Microwaves are one of those things that are dirty almost all the time. The idea is that you heat something up for one time and food particles get stuck on the walls and get harden fast. The good news is that now you do not have to scrub it off. Simply take a bowl of water and put some vinegar in it. Put the bowl in the oven for one or two minutes. This process will soften the food particles, and now you can swipe it off with the cleaning cloth. The other efficient way to do this is by putting the angry mama in the oven. Both methods work the same way. Kitchen sinks get greasy quickly. You can scrub it all you want, but the grease is there to stay. After a while, it starts looking really gross. There are many chemicals available in the market that claim to make your sink shine like a new one, but at the end of the day they are all lies, or even they make the situation worse by leaving permanent stains all over the sink. You can clean the sink by putting some baking soda, cream of tartar & peroxide for making it shine like new. Having burnt out stove is every house's problem. Whenever you are doing some cooking, no matter how hard you try to be cautious but you will end up spilling some food. Especially the liquids like milk, get stuck really quick and give burnt out smell whenever you are using the stove again. People usually choose to clean out this stuff by scrubbing it from the aluminum wires. They destroy their hands as well as the stove. Also, it is hard to do this type of effort every single day. Instead, make your life easier by using ammonia. Put a cup of ammonia in a ziplock bag and let the stove soak for 12 to 14 hours. The burnt stuff will be softened with ammonia and now you can easily wipe it off.